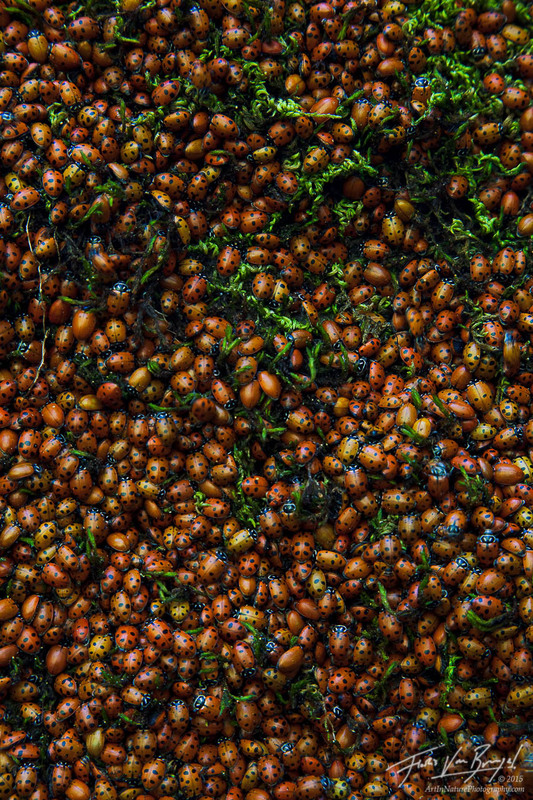 Over the winter months ladybugs assemble en masse to over winter until warm spring days arrive. I found one such group in California's King's Canyon National Park one early spring. (read blog entry). One warm days the ladybugs will take off in a spectacular display of flight, as seen here: ladybug frenzy.